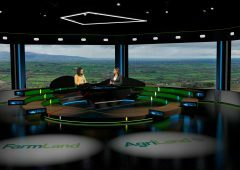 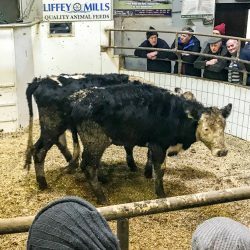 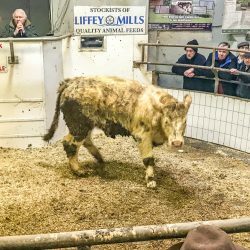 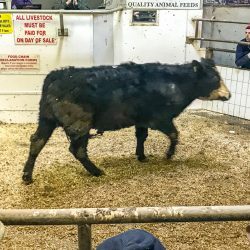 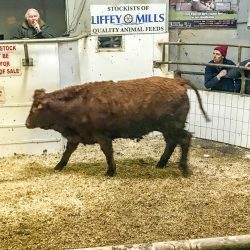 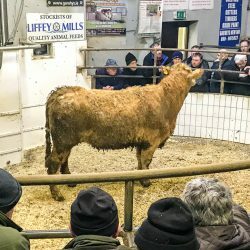 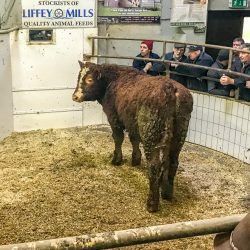 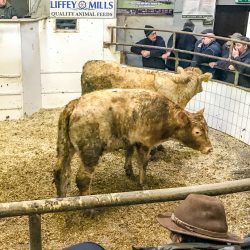 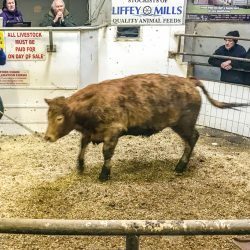 The mart’s manager Eilish Curley was happy with the sale and noted that numbers were running at average for this time of year. 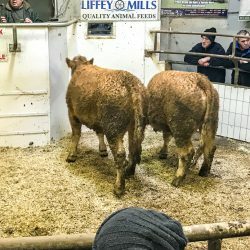 There was a brisk trade for both bullocks and dry cows. 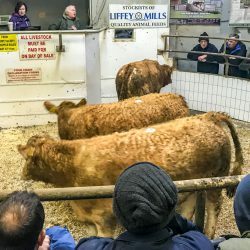 However, the heifer trade was slow at times. 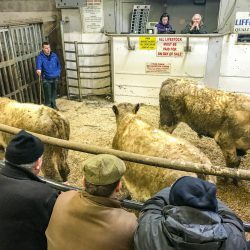 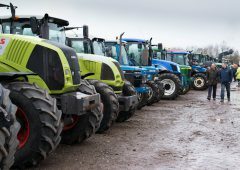 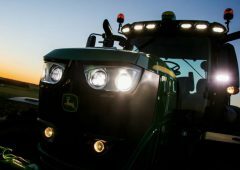 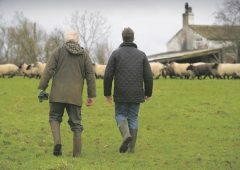 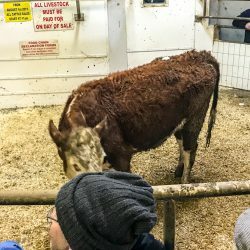 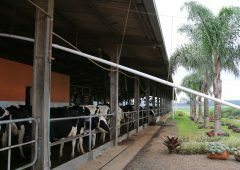 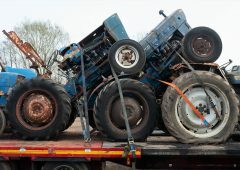 “Many farmers are pulling numbers back on suckler farms around here. 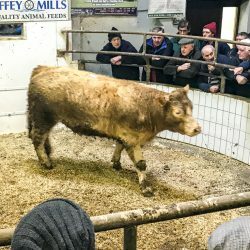 That’s the way its gone with the beef farmers. 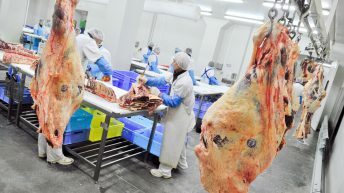 Some are even thinking of giving it up completely,” she explained. 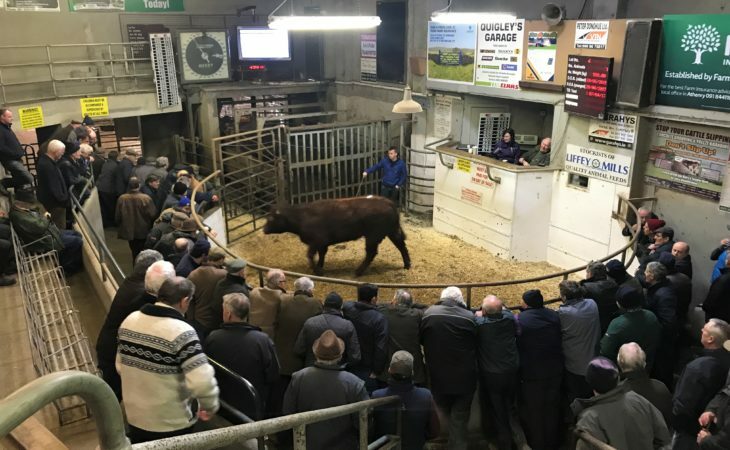 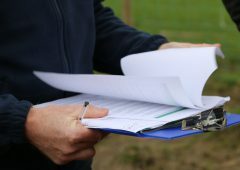 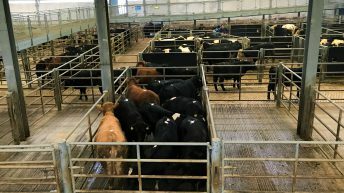 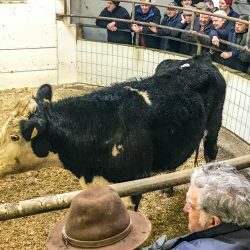 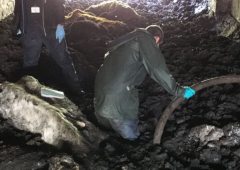 On the day, 147 cattle went under the hammer. 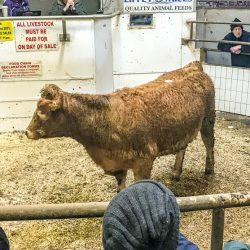 In addition, a number of dry cows were presented for sale. 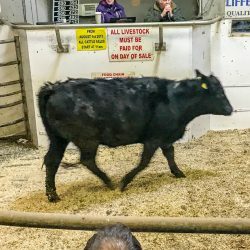 A 75% clearance rate was achieved. 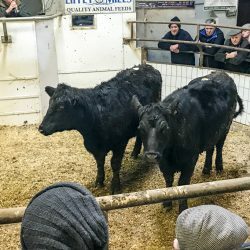 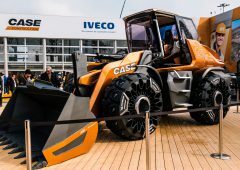 Click on a thumbnail in the gallery (below) to open up a full-size image; once opened you can scroll sideways to see the next picture. 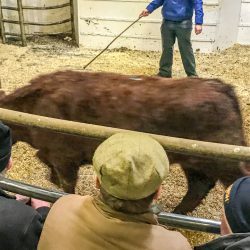 Refer to each caption to see details of each lot, including the sale price. 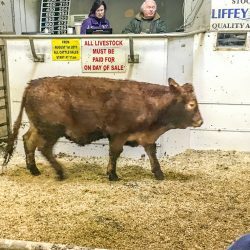 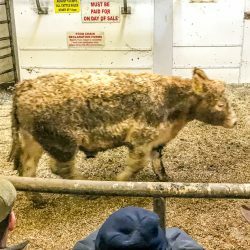 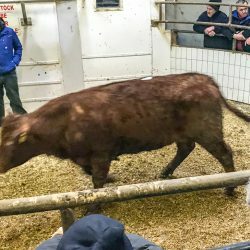 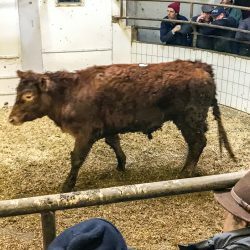 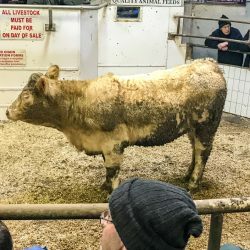 69 bullocks also went under the hammer and a 78% clearance rate was recorded on the day. 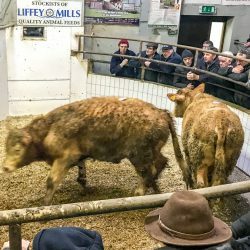 The trade was brisk from start to finish and good demand was evident around the ring. 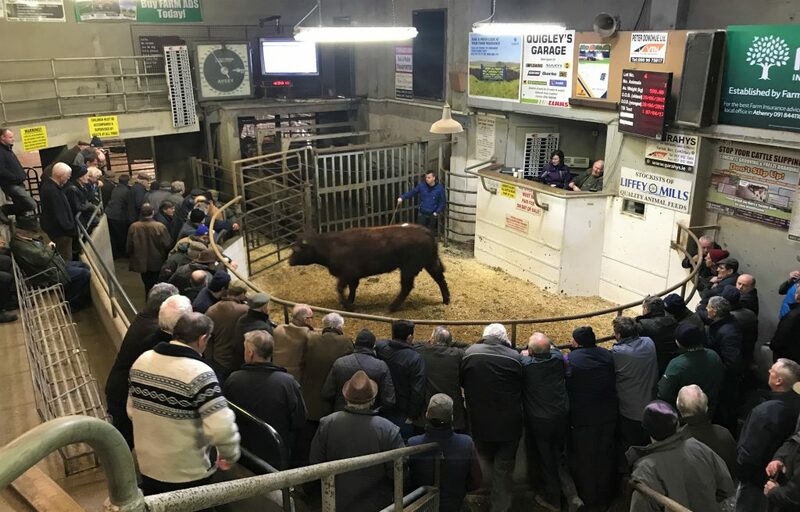 Generally speaking, steers averaged €2.36/kg, while a top price of €2.83/kg was recorded in this ring. 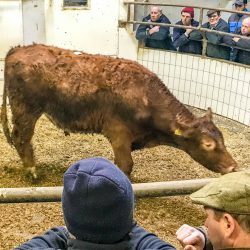 Furthermore, 18 dry cows also passed through the ring. 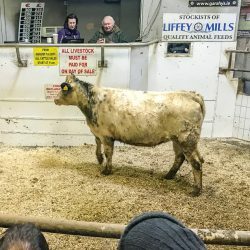 A clearance rate of 83% was achieved and only three animals went unsold. 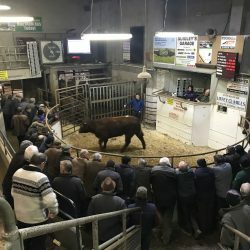 These lots traded for €680-1,345/head.